Birthe Havmøller, Olaya Aramo and I were delighted to receive an invitation from festival organiser San Fede to make a presentation about The Queer Tango Book at ‘La Vie en Rose’ in Paris this summer. La Vie en Rose – International Tango Meeting will be France’s first international Queer Tango festival running from 24th – 29th June. … Read more. 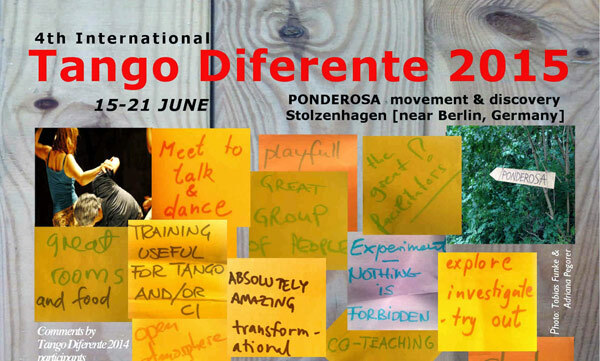 We hope that you will join us at the Berlin festival, share your Queer Tango experiences with us, dance lots of lovely tangos and perhaps even have your photo taken together with us. - The above selfie is a virtual one as this summer will be the first we all meet in person. ... Read more. Laura Pestalozzi and Yana Khalilova at the 3rd International Queer-tango Festival in St.Petersburg, Russia. Video (3:53): Laura Pestalozzi and Yana Khalilova - Take me to church. Read more. We have also shared three more videos with the other Queer Tango performances of the 3rd International Queer-tango Festival in St.Petersburg, Russia, 2015. See the blog. 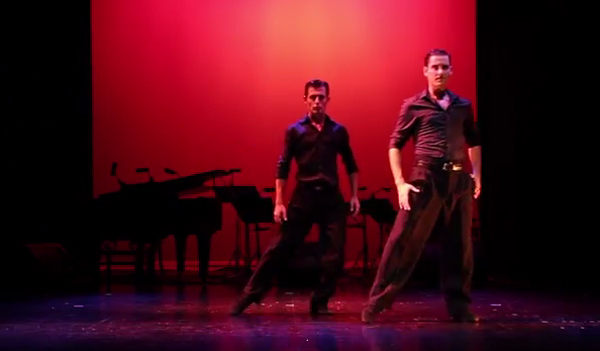 Video (2:12): "Tango Rojo" - idea and choreography Leandro Capparelli and Fernando Gracia, April 2015. 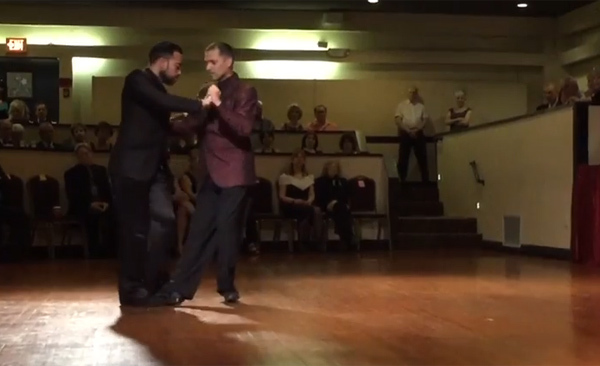 Video (3:05): Walter Perez and Leonardo Sardella dance an Argentine Tango at Stardust weekend, 2015. Musicality, playfulness and terrific technique - hurrah for Walter Perez and Leonardo Sardella! 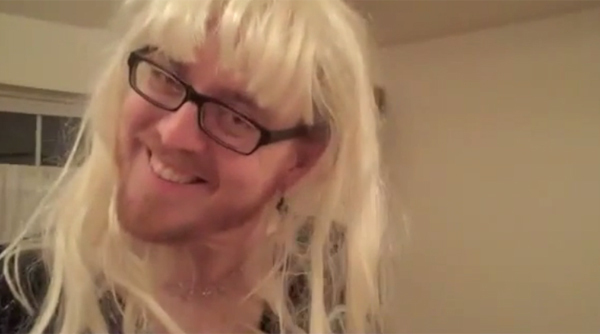 Video (3:24): "Sh*t Tangueras Say", starring Romney Biddulph as the Tanguera and Gene Eckhoff as the Girlfriend. Video podcast published on April 30, 2015. 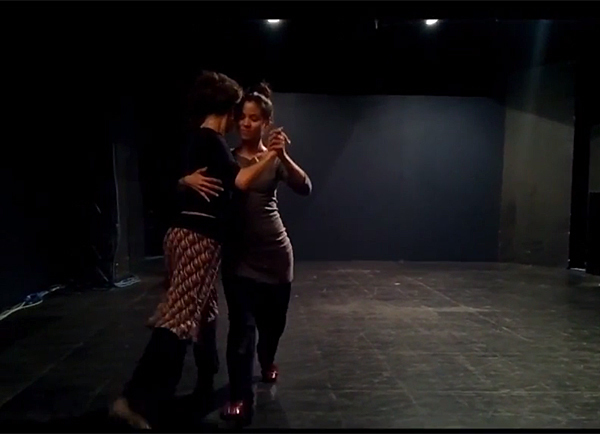 Helen La Vikinga and Javier Guilardi - "La Cicatriz"
Video (2:33) Helen La Vikinga and Javier Guilardi performed a queer milonga: La Cicatriz by Juan D'Arienzo in Stockholm, April 2015. Video (2:46): Peninsula Cho and Paso danced this lovely Queer Tango performance in Seul, Korea at the 9th anniversary of philAtango in 2010. Video (4:38): Liselot De Stigter (leading) and Mirjam Diedrich performed this tango in Biezenmortel, Holland in 2010. Video (3:10): Sekiya and Atsushi performed a Queer Tango vals at the (Japanese?) milonga OGIYA, March 28, 2010.